Unwanted guests are never fun, especially when you can’t ask them to leave. Luckily, Westmont pest control companies have no problem kicking them out. Whether there’s a rodent in your basement or insects in the attic, call your local Westmont exterminator to take care of them — do not try to wrangle them out yourself! Not sure which type of home pest control service in Westmont, IL can tackle your issue? Read profiles and ask about their past experiences to get a good idea. You are probably wondering “What’s with that name?” Well, there is a very good reason for it. Dads Against Mosquitoes was founded by a Dad who wanted to safely protect his young children from mosquito bites without having to use potentially harmful DEET directly on their skin or caustic chemicals in his yard. His children were extremely sensitive to mosquito bites, developing very large hives where they were bitten. After searching long and hard, this Dad discovered a product that would safely and effectively control mosquitoes in his yard all summer long, without having to use harmful chemicals. Since then, other dedicated Dads (and Moms too) have gotten involved in the ongoing quest to protect children, adults and pets too. We proudly serve a wide range of customers including residential families, park districts and restaurants, just to name a few. Dads Against Mosquitoes is Chicago’s original monthly scheduled spraying service devoted to protecting your outdoor spaces against mosquitoes and other biting insects all season long. Once applied our safe long-lasting product will remain effective for weeks so you can relax in your outdoor area and enjoy the summer free from mosquitoes. Our environmentally friendly, EPA-approved products are extremely safe for people, pets and plants. In addition, Dads Against Mosquitoes also offers an all-natural “bee friendly” bee deterrent, which is ideal for outdoor eating areas which attract pesky bees. 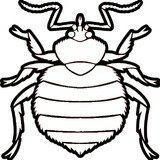 Greathouse Pest Control Services is a family-owned and operated company based in Wheaton, IL. Pest Control Operator, Doug Hamel, founded Greathouse after having spent over 20 years in the local pest control industry. Greathouse strives to provide superior, customized service at a reasonable price. You can feel confident in the following: No contracts - just a simple guarantee. Unmarked vehicles - YOU decide whether or not your neighbors should know we're there! Friendly technicians who design solutions with your children and pets in mind. Greathouse Pest Control Services is licensed to do business by the State of Illinois and maintains active certifications on all technicians which requires ongoing continuing education. As members of the Greater Chicago Pest Management Association, the Illinois Pest Control Association, and the National Pest Management Association, we remain well informed of industry legislation, changes in practice and application techniques. This means better, more progressive service for you! A.W.E.S.O.M.E. 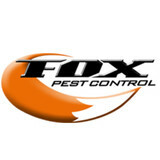 Pest Service is a family owned company that performs a wide array of services. With 40 years of experience in the pest control industry A.W.E.S.O.M.E. Pest Service provides service to many suburban municipalities, preschools, local school districts, restaurants, residential properties and a variety of commercial properties. Specializing in commercial, industrial, and institutional pest control, All Suburban Pest Control has served the Chicagoland area and surrounding cities for the past 27 years. All Suburban Pest Control's current customer list includes the Donald E. Stephens Convention Center and the All State Arena. Additional references are available upon request. Here at Ento Pest Control we strive to make your home the most comfortable it can be. That means getting rid of those disgusting and troublesome pests! Let us know how we can best serve you. Our services are designed for customers who want a little more protection and peace of mind. We can monitor pest-vulnerable areas on the interior of the home to detect pest activity. Then, one of our AMPEST trained professionals can utilize EPA approved materials to eliminate pests upon detection. 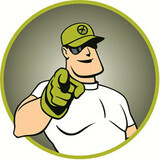 In addition, our service professionals provide protection and eliminate most pests before they have a chance to invade. Midwest Exterminating protects your home or business by offering pest control services. We incorporate IPM (Integrated Pest Management), a combination of chemical and non-chemical treatment methods to stop pest infestation. Our IPM treatment method can control your pest problems with minimum chemical application, reducing exposure to your family and the environment. 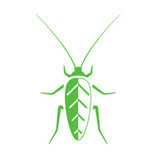 Envirosafe Pest Management was created in 1988 with the ideals that started in the mid 70's when safe, responsible, and very effective pest management programs were first starting to be developed. As the industry progressed, the creation of the Integrated Pest Management, or IPM came about long before the doctrine of the "Green" movement was gaining in popularity and acceptance. During my career in the industry, I've worked with materials that were not only dangerous to the environment, but certainly potentially dangerous to the technicians who applied them. Most incidents of pesticide misuse occurred with the homeowner who, driven by the fear of infestation has little understanding how materials work on the biology of the insects and rodents they were trying to control. Having worked with materials that were extremely toxic, I wanted to offer my clients a safer, manageable, more effective way of providing pest management. Envirosafe was created to seek out manufacturers of these products. To my extreme satisfaction, the pesticide and rodenticide industry responded with extraordinary products that still allowed us to be protectors of health and property in the country. 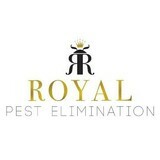 Our current treatments are safe, responsible, and very effective against all types of insect and rodent activity. Our architectural bird deterrent systems use absolutely no poisonous avicides, messy and unsightly repellents, or irritating, non-effective noise distress devices. They are permanent, removable, and aesthetically pleasing to all structures, The attachment system is a patented framing process that is exclusive to our company. Please call us- I know you will be satisfied with the results!